WINCHESTER, Va., November 27, 2012 – Trex Company, the world’s largest manufacturer of wood-alternative decking and railing, today announced that Ronald W. Kaplan, chairman, president and CEO, has been selected by ExecRank as a “Top Small Cap CEO” for 2012. Kaplan ranked 14 out of more than 18,000 Small Cap CEOs in the United States based on his ability to effectively lead an executive team to drive company-wide improvements in efficiency and profitability, while successfully executing a long-term corporate strategy and driving value for shareholders. "We were extremely impressed with Mr. Kaplan and his ability to drive profitability despite a tenuous market for building products during the last three years,” said Ian MacDonald, analyst for ExecRank. “Mr. Kaplan's extensive leadership and operational experience have served Trex and its shareholders very well during 2012. He is highly regarded amongst his peers as a CEO who truly understands the nuances of the industry." ExecRank, the definitive ranking service of leading executives from more than 30 professions, compiled its list of “Top Small Cap CEOs” through a patent-pending algorithm that measures CEO performance in 24 key areas, and is the result of extensive research and feedback from evaluation committees and senior corporate officials. Consequently, the list represents the “best of the best” in executive management and leadership for 2012. A seasoned turnaround expert, Kaplan came to Trex in 2008, when the company was struggling to improve profitability, increase growth and maintain its pre-eminent brand. Kaplan executed a strategic turnaround formula that included implementing supply chain best practices, developing a best-in-class product portfolio (exemplified by the game-changing Trex Transcend® decking and railing collection), creating compelling marketing and advertising initiatives and expanding internationally. Under Kaplan’s leadership, Trex is now a $300 million manufacturer with industry-leading brand recognition and unsurpassed channel placement in more than 6,000 retail outlets worldwide. 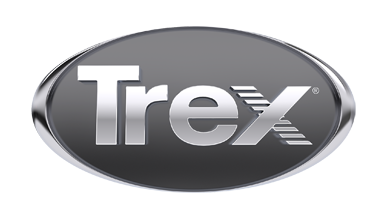 In addition, Trex stock has quadrupled in price during a tough market for building products. For the complete rankings, visit www.ExecRank.com. ExecRank is the definitive ranking service of leading executives who have achieved the highest level of professional achievement and peer recognition. ExecRank was founded by Jonathan Aspatore, one of the most authoritative figures in business publishing. ExecRank rankings reach over 6 million readers a year in the United States alone given its partnerships with leading publishers, web sites, trade shows and more.